People living on a fixed income are ill-equipped to handle large rises in housing costs. When looking at the housing affordability issues in Canada, we often focus on the younger generations and their problems breaking into the real estate market. But a new report from credit rating agency DBRS says it's seniors who will see some of the worst affordability problems in the years to come, because the supply of senior-oriented housing is simply not keeping up with population growth in that group. "Canada's seniors are facing a severe housing shortage as there is an increasing number of baby boomers turning 65, coupled with low property vacancy and supply as well as general soaring rent rates," authors Stephanie Hughes, Karen Gu and Erin Stafford wrote in the report. The report cites Statistics Canada data to show a steady and rapid increase in the senior population. For the first time ever, the 2016 census showed there are now more seniors in Canada than children aged 14 and under. The number of seniors in Canada is projected to nearly double by 2036, to between 9.9 million and 10.9 million people, from 5.9 million in the 2016 census. But the supply of senior housing is simply not keeping up. "Between 2006 and 2016, the rate of increase for Canada's senior population averaged 21.7 per cent – more than double the rate of the supply increase," the DBRS report states. 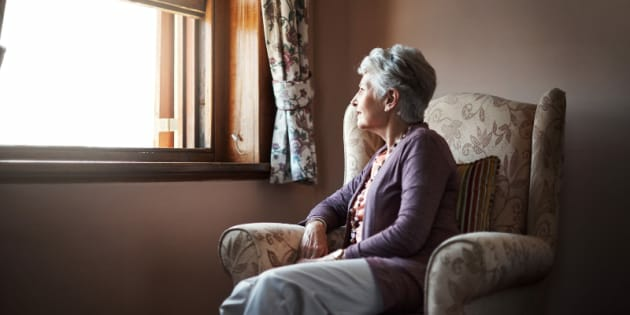 Rising housing costs could hit seniors particularly hard, explained Karen Gu, a vice-president at DBRS and co-author of the report. "We believe seniors are the most vulnerable population. They're more in need of affordable housing because most live on a fixed income. The general market of developers, the general housing supply is not specifically (geared) for seniors," Gu told HuffPost Canada. The report found a wide range of rental costs for seniors' housing, ranging from a low of $1,678 per month on average in Quebec, to a high of $3,526 per month, on average, in Ontario. Between 2013 and 2017, rental rates at senior facilities rose by an average 4.7 per cent per year. The housing crisis among seniors is likely to affect the overall housing market, Gu suggested. With seniors living longer and short on retirement-home space, more will opt to remain in their homes. That will reduce the supply of resale homes available to younger generations. "That puts even more pressure on the general housing supply," Gu said. Developing more supply would help address the crisis, but "it is not as simple as just laying out construction plans," the report noted. Senior housing is highly regulated, making it more difficult for investors to get the approval they need to build and run facilities. But the high demand and low supply makes it "an attractive option for investors" all the same, DBRS noted. "Affordable housing is becoming increasingly out of reach for those who rely on a fixed income, but the market's investment prospects may change the tide of this issue, providing a greater unit supply for the ever-aging population."